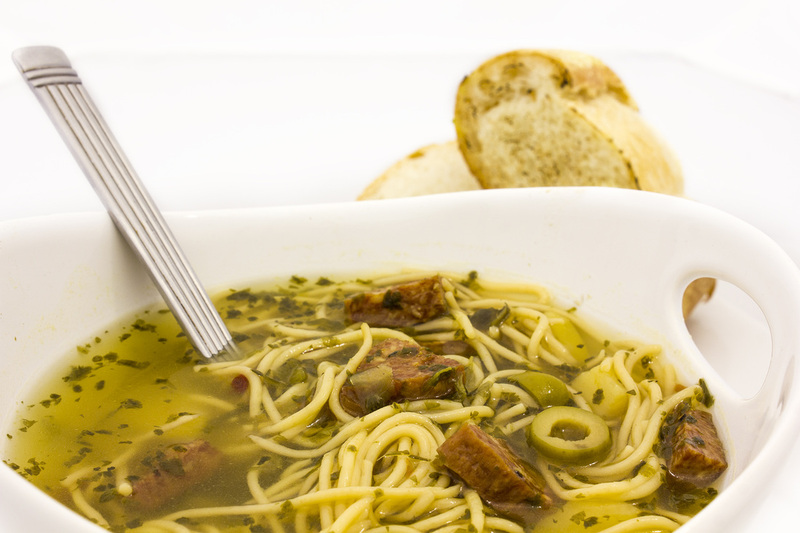 Warm up to soups from around the world! Where else can you try authentic Irish stew, Italian spinach lentil soup, Dominican sancocho, Mexican pozole, Greek lemon chicken soup, Puerto Rican farmers sausage soup, Vietnamese pho bo vien, Maltese/Australian minestra, and a locally inspired seasonal soup all in one meal? *GF: Gluten-free, as reported by the restaurant owners/managers. Kids and Cultures/Taste the World is not responsible for the ingredients or preparation of the servings you will receive as part of this event. At this event, participants can enter to win a restaurant gift certificate. Here is a map of participating restaurants. You will receive a map with your ticket, so you don't need to print this one. Sopas de fideos y salchichon (farmers sausage soup with angel hair) by Catering by Christina.